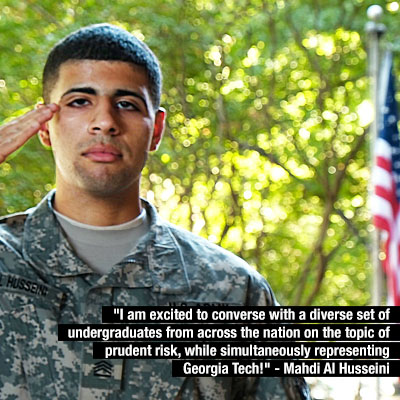 The mission of this conference is for top undergraduate student leaders from diverse backgrounds to participate in a team-based, experiential and analytical exercise that bolsters leadership skills, fosters critical thinking and collaboration, and develops potential strategies for addressing pressing global issues. 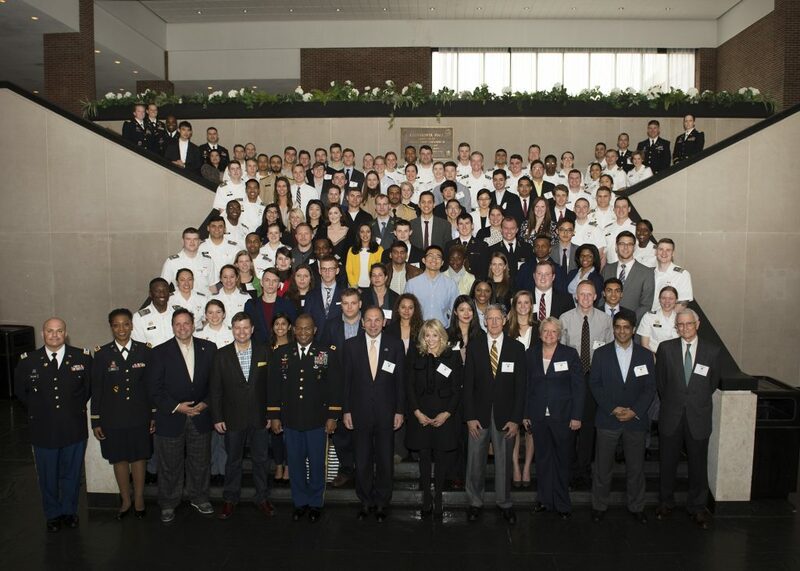 The conference is an intensive leadership development experience crafted by the faculty of the world’s premier leader development institution, the United States Military Academy at West Point. Guided by meaningful pre-work before the conference, intense one-on-one development with Academy faculty, small group interaction, and mentoring with their world-class leader, undergraduate participants will emerge better prepared to excel as leaders at their institutions and in the world. Panel discussions will provide analysis and insight into the global topic areas and issues. 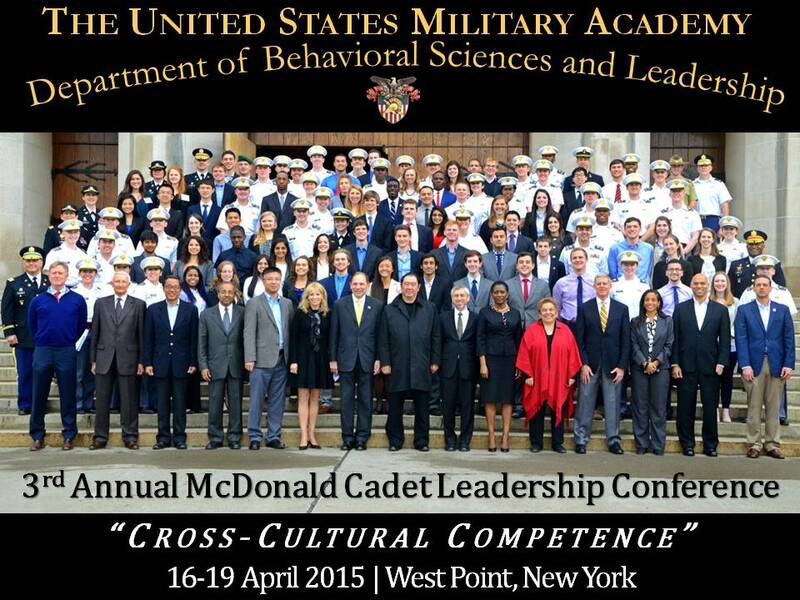 The 2018 McDonald Conference for Leaders of Character will be held from 21 -25 March 2018 on the grounds of the United States Military Academy at West Point. This year's conference is themed "Making Ripples" with panels focusing on Character, Ideas, and Teams. It will focus on how the impact of individual decisions or ideas can create widespread (beneficial or destructive) ripple effects throughout society or institutions. Participant's will address a leader's role in harnessing, mitigating, or preventing such effects. One selected Georgia Tech student will have the opportunity to network with fellow student leaders and world class senior fellows, including Fortune 100 Chief Executive Officers and leaders of international non-governmental organizations. To be considered for this opportunity, please send a letter of interest to leadingedge@gatech.edu by Wednesday, December 6, 2017 at 5pm. This letter should include your philosophy of leadership; any current community, college activities and leadership roles and how those opportunities have allowed you to develop as an individual; and why you would benefit from the chance to attend the 2018 McDonald Conference for Leaders of Character (MCLC). 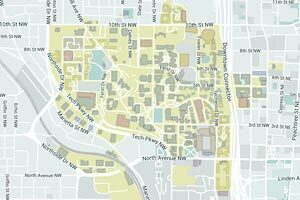 LEAD Staff will notify applicants of their status by Thursday, December 7th. Conference participants explored, discussed, and challenged their perspectives related to the theme with respect to four topic areas: Learning, Governing, Adversity, and Vision. Teams developed an opinion-editorial style article that discussed how their provided topic influenced their ability to lead failure, creating inspiration and change within organizations. Groups had the opportunity to publish proposed courses of action designed to address overcoming failure, being resilient, and inspiring others through change. Conference participants explored, discussed, and challenged their perspectives related to the theme with respect to four topic areas: Global Economy, Education, Connectedness, and Stewardship. Teams developed an opinion-editorial style article that discussed how their provided topic influenced their ability to lead in an interconnected, cross-cultural world. Groups had the opportunity to publish proposed courses of action designed to address some of the most complex problems facing the world in the coming years. Life is too short to do everything and change everything. You have to get dirty and start doing and trying stuff. There is no alternative to it, so stop thinking and start doing.